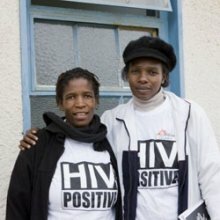 uSizo Lwanamuhla (USL) is a well recognised, established Non-Profit Organisation as well as Public Benefit Organisation in South Africa, aimed at integrating modern medicine and traditional healing in the fight against HIV/AIDS, STD's/STI's and TB,also including other opportunistic diseases. Primarily it employs the traditional health practitioners (THP) and faith healers in the development of a culturally competent and comprehensive model of HIV/AIDS, STI and TB health care delivery system. The popularity and critical role played by THPs in Global communities provides a relevant platform to promote HCT, as well as to drive awareness with a centre of attention on prevention, education, treatment and care strategies. USL aims to provide an integrated and effective traditional HIV/AIDS, STD's/STI's and TB prevention strategy by utilizing the readily accessible traditional health care infrastructure. 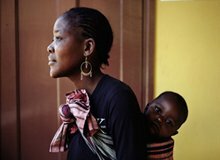 In July 2010, kwa Makhosi Bongane Ezangomeni Consultation, which has been operating since 1993 in Alexandra decided to register an NGO with existing practitising THPs in Gauteng to lend assistance in the pandamic. USL was therefore founded in by Bonginkosi Masilela, Sekara Mafisa, and Zoyise Mtshikwana, who, through their previous experiences as THPs, recognized that although people were made aware of HIV/AIDS, some still were made to believe, or themselves believed, that HIV/AIDS does not exist, but is instigated through witchcraft and bad omens. The co-founder, Nombuyiselo Mapongwana, an HIV activist, was worried about the stigma and discrimination of the HIV postive LGBTI community and therefore came to USL with her expertise. Our work in the area of HIV/AIDS, STI/STD and TB has been ongoing since the first VCT being done at the premises of the founder in early months of 2009. Since then, our commitment has been to effectively manage the impact of HIV/AIDS, STI/STD and TB at the community level, to make a positive contribution towards minimising the social, economic and developmental consequences of the epidemic.